Although this was my second Mullard amplifier build, my first being the 5-10, this was quite an eye opener for me. Again I built to the Mullard layout for a control-less amplifier, as described in the Mullard circuits for Audio amplifiers book. The actual build was a very simple matter compared to the 5-10. The only deviation I made from the Mullard layout was to turn the valve sockets by 180 degrees. 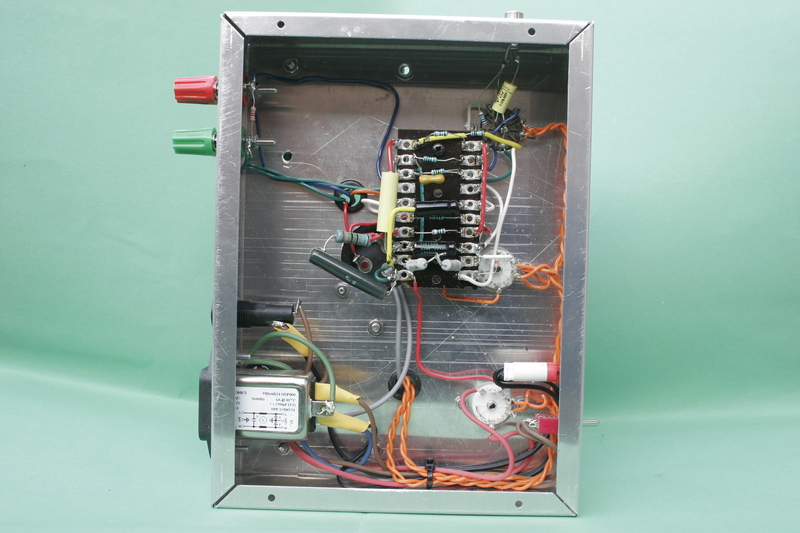 this enables the heater wires to be run along the chassis wall, and straight to the socket. This will reduce hum pickup from these wires. I used our clamp option for the magnetics, as can be seen. 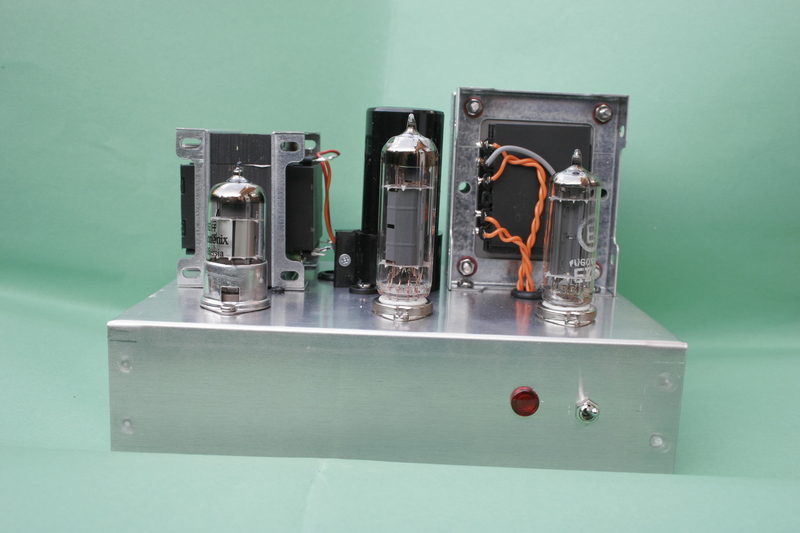 We also sell the items individually The mains transformer and the output transformer. 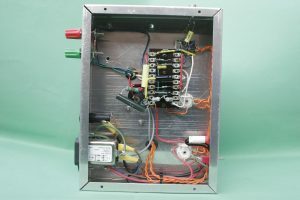 It didn’t take long before I was able to get the heaters working, and then following the layout in the book, not forgetting that the sockets were rotated, I wired the remainder within half a day. I had read many posts about this amp having a level of background hum, so I was ready when I switched it on for the first time, plugged into a dummy load, and the output monitored with my scope. The input was shorted. However I was surprised to find only a very fer mV of noise. So I plugged in an 8 Ohm speaker. The hum was only audible with my head up against the speaker, else I would not have know it was switched on!! I plugged in my stereo to mono converter, and used my phone as a music source. I must say that this little beauty was astounding. The bass was present, and plenty of top end. Volume was not a problem, as I imagined it would be. The workshop was filled with plenty of volume, easily, with headroom. 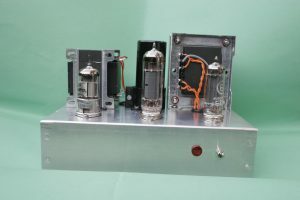 All very surprising for such a small and simple amplifier. It definitely made its presence felt. I am so pleased with this amp and, of course, our magnetics. After 3 hours use the mains transformer is just warm. If you want to start building HiFi, then I would recommend you start out with this baby. You won’t be disappointed.